Professor of Innovation Management at IMD, Columnist at Forbes and one of the Top50 Influential tweeters on Business and Innovation. Bill Fischer is a Professor of Innovation Management at IMD. He co-founded and co-directs the IMD program on Driving Strategic Innovation, in cooperation with the Sloan School of Management at MIT and also authors a regular column for Forbes.com entitled “The Ideas Business”. Professor Fisher is an engineer by training and American by citizenship; Bill has lived much of his life in Asia and Europe. 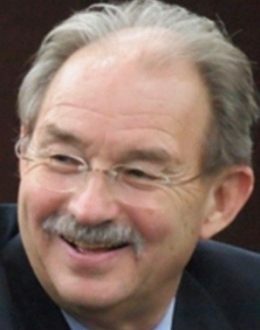 He held a full-professorship and endowed chair on the faculty of the University of North Carolina at Chapel Hill (1976-1998), first moved to China in 1980, and later became the President of the China Europe International Business School [CEIBS], in Shanghai (1997-1999). He has been awarded the Silver Magnolia award, Shanghai’s highest award for foreigners contributing to the city’s development, in 1999. In 2011, Bill was named by The Independent [U.K.] as one of the most influential tweeters on business issues; and by InnovationExcellence.com as one of the “Top 50 Innovation Tweeters of 2012”, as well as one of InnovationManagement.com’s 40 top innovation bloggers in 2012. In 2013, he was included among “The Top 50 Business School Professors on Twitter,” and Innovation Excellence’s “Top 50 Innovation Twitter Sharers of 2013”. Also, in 2013, Reinventing Giants, which addresses business model and corporate culture reinvention in a mature, commodity business, has been short-listed for Thinkers50 “book of the year” award. His resents cases include: West side story: The team behind its creation, Boynton, Andrew; Fisher, William A; Boynton, Andrew. Ideo’s Tech Box: The Crystallization of Experience, Fisher, William A; Boynton, Andrew. Wendy Simpson in China (B): (Overhead Case), Fisher, William A; Chung, Rebecca, etc. Currently William A. Fisher is working on the following project: Virtuoso Teams Matter: Big Company Change Needs Big Talent, Managed Differently.